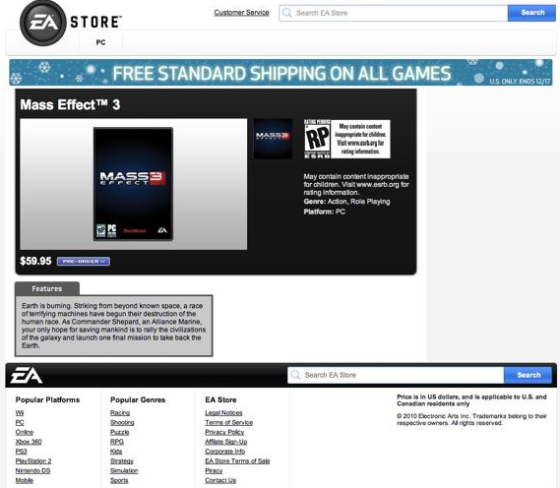 Mass Effect 3 Leaked on EA Store WITH DESCRIPTION! That’s right folks some one at EA store just put Mass Effect 3 on pre-order WITH description although the game lacks a release date fans will be pleased none the less. As you can see the game has been given a standard price tag of $59.99 and has a similar box art of Mass Effect 2, I am certain fans of the series will go ape over this news.